In this special Hypnosis Brief I’m going to discuss how to go about learning hypnosis, and becoming a professional hypnotist if you want to make it a career. I’ll also cover some licensing questions to keep you out of trouble. Have you ever wanted to learn hypnosis, or have you wondered where someone goes to learn to do hypnosis? Where do you go to develop the education, skills and talent to pull this off? In the past, it was difficult to find a ‘school’, institution or individual who taught others about hypnosis. In the past most found out where to learn about hypnosis through periodicals like Psychology Today, word of mouth, and some educational institutions. Now that the Internet and all of the variety of ‘search engines’ have come along, it’s much easier to find places to learn about hypnosis, as well as how to perform it. But if you wanted to learn hypnosis, perhaps the biggest question would be… why? Do you want to learn hypnosis to go into private practice or perhaps entertainment (stage hypnosis), or would you want to learn it for personal reasons, as a tool to improve your overall state of mental and physical wellness? If you just want hypnosis for your own personal benefits, then you’re less likely concerned with the formalities that go along with accreditation, licensing, certification and recognition associated with it. Learning self-hypnosis from an experienced hypnotist may be all you need and most local hypnotherapists can provide this training for you. Conversely, if you were looking at getting into hypnosis to become a professional practitioner, then you’d want to take all of the above into account as you’d want to be recognized with reputable organizations. When it comes to professionalism, you’ll want to make sure you’re held in the highest regard when it comes to credibility. Attaching your name to credible ‘associations’ will not only make you appear credible to clients and patients, but among your peers as well. Many traditional schools, such as colleges and universities unfortunately don’t have formal ‘hypnosis’ education. The most students will learn about hypnosis at college is in an introductory psychology course while discussing Sigmund Freud, or Milton Erickson, or perhaps a little more in depth when taking a psychology major. Unfortunately, what is learned is usually not of practical use and holds no real value in terms of using it in a practice. Students will only get the ‘theory’ and history of hypnosis; therefore, the only redeeming quality is of a theoretical nature. If you want to learn the practical applications and skills to engage in hypnosis as a professional, you’ll have to seek out a specialty school. 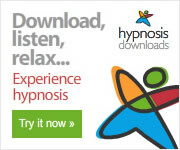 If you do a Google search, you’ll come across many ‘schools for hypnosis’. Although there are a variety of schools, you’ll need to do diligent research before signing up for one. Some of these private schools are costly, so you want to get the most bang for your buck in terms of; credibility, knowledge, competence and certification. Since hypnosis is viewed as a pseudo-discipline that falls within the domain of psychology and mental health, the standards for accrediting it are difficult at best and inconsistent. 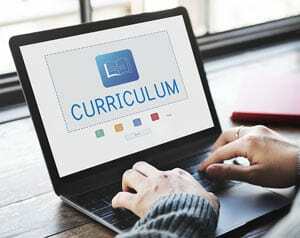 You’ll also find a number of hypnosis schools offer their curriculum in online classes. If you’re a practicing psychologist or counselor, there are various boards and licensing agencies you need to apply to and become certified to promote your services. 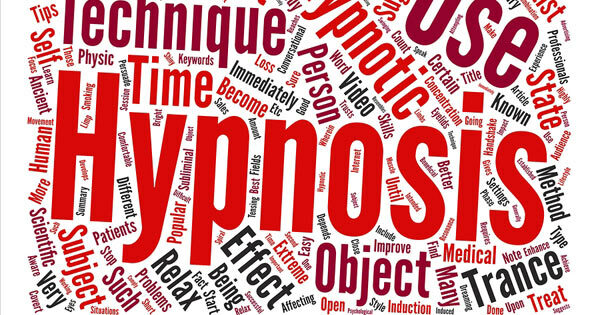 The same is not necessarily true for hypnosis, and depending on the state and/or country you reside in then you may need to be licensed or not, or be limited in whether you can call yourself a hypnotherapist or hypnotist. If you’re learning any skill, whether it be hypnosis, massage, reflexology, etc., it’s important who you’re learning from is teaching the skill set based on incorporating as much information about the discipline, as well as including the principles of ethics and beneficence in the training. When I refer to beneficence and ethics, I’m referring to setting intentions you’ll always do what is best for the client, and leave them better than before they came to see you. Furthermore, ethics teaches if you can’t help the client, then you recognize this and refer them to someone else who can. This is when ‘hypnosis’ overall in the clinical sense gets perceived in a negative light by accredited hypnotherapists, psychologists, psychiatrists, counselors and the public overall. Basically, you have incompetent hypnotists who’ve been trained by incompetent teachers who have allowed them to go into the real world and deal with real emotional problems. The problem is they often times at best don’t do anything for the client. If you’re interested in becoming a hypnotherapist and helping people with their problems; quitting smoking, improving their self-esteem, losing weight, overcoming phobias, that’s a wonderful intent. Wanting to help others improve their life is a noble cause for any profession. Hypnosis is a reputable and honorable profession that should only be practiced by individuals who have been trained properly, and who know what they’re doing, and importantly recognize limits and when to refer out. One quick intense week course isn’t going to be enough, unless there is both quality theoretical and practical training included for a specific problem. Like any skill it can take many years to become proficient in being able to tackle the problems presented by real clients. If you’re seriously looking for training in hypnosis consider checking out organizations like the National Guild of Hypnotists  as they offer standard courses and certification programs, and require ongoing accreditation to remain members. I obtained my training and certification from NGH. I’ve also been a student of Igor Ledochowski and member of his Hypnosis Training Academy  for a number of years and he has a two-year intensive program where you can also learn how to run a hypnosis business as well as providing the basic and advanced skills of hypnosis, and opportunities for practice with other members. Do you need a license to practice hypnosis as a professional? The answer is it depends. In many places in the world hypnosis is a self-regulating profession. That is, you don’t need to pass a recognized exam or qualification by a governing authority before you hang up a sign promoting your services. In the USA requirements for hypnotherapists vary from state to state. Many states don’t require hypnotists to have a license to practice. Some states require you to be licensed to promote yourself as a hypnotherapist but not as a hypnotist. Still others you have to register and obtain a license, but there is no examining board so effectively you just apply. With the advent of hypnotists offering client sessions online then it becomes important for the hypnotist to understand where their client resides, as you should assume, to be safe, that state’s licensing requirements will be in effect. So, this may limit you on clients you can take on. In order to remain in compliance a hypnotist should research and ensure she understands the local requirements for country and state/county/province. More general information about licensing for hypnotists can be found in an article posted at Hypnosis Training Academy . Being a professional therapeutic hypnotist and helping others overcome negative habits or challenges to improve their life is a wonderful and noble intent. But with this intent comes high expectations covering the treatment of clients and the ethics of your business to preserve your reputation, and avoid compliance and licensing issues with the local authorities. Always consider the client and do what is best for them and like any profession know your abilities, and limits, and build a network of specialized professionals so you can refer out clients who present problems you’re not experienced to address. Being a professional hypnotherapist is hard work, and for many it’s part-time, particularly during the early years learning the skills and gaining experience. But it can be immensely rewarding helping people overcome problems and seeing them grow and improve their life.